The St James and Emmanuel Academy Trust has responsibility for three local schools. It provides the leadership and governance of all the schools within the multi academy trust. Currently this is Didsbury CE, West Didsbury CE and St Wilfrid's CE Primary Schools. The Trust is run by three distinct groups. Each of these groups is made up of representatives from the three institutions who uphold the Christian faith foundation of all the schools within the Trust. Please click on the link below to see the Trust information page on the Church website. The three groups are the Members, the Directors and the Local Governing Bodies. The Members and Directors are all representatives of either St James and Emmanuel Church, St Wilfrid's CE Church or the Manchester Diocesan Board of Education. The Local Governing Bodies have a majority representation from these three institutions but also include parent, staff and community representatives. The Members are legally and financially accountable for the performance of the schools in the Trust and for the overall financial viability of the Trust. For their full legal obligations and powers, please see the "Articles of Association" below. The Members are the minister of St James and Emmanuel Church, the minister of St Wilfrid's CE Church, a Manchester Diocesan Board of Education representative and another representative from the Parochial Church Council (PCC) of St James and Emmanuel Church. The St James and Emmanuel PCC is well represented, as it was the founding body of the first school to open within the Trust. The Members delegate a number of key strategic responsibilities to the Directors and the Members meet annually to hold the Directors to account. 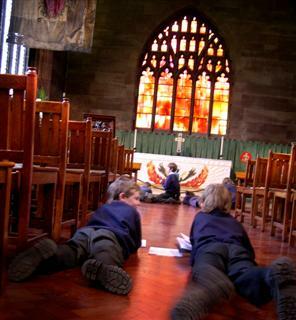 There are nine Directors, seven of whom are directly appointed representatives from St James and Emmanuel Church, St Wilfrid's CE Church and the Manchester Diocesan Board of Education, along with the Executive Headteacher, who is a direct appointment of the Members. The Directors take strategic decisions to improve performance across all three schools and to maximise economies of scale across all three schools. The Directors meet formally together once a term, but also have extra meetings with the Trust's auditors to ensure that all the accounting regulations are adhered to. Each Local Governing Body meets every half term with a focus solely on their individual school's perfomance . Over the course of the year, they will meet with children and staff to discuss and monitor the key curriculum improvement areas for the school based on the School Improvement Plan. They look at work in books, question the children and staff about new initiatives and report back to the Directors via the Chair at the termly Directors' meetings. For more information on their role, please see the Local Governing Body page on this website. All our Members, Directors and Governors have to declare their pecuniary interests at the beginning of every meeting and confirm their eligibility to stand in public office annually. All our Members, Directors and Governors have current enhanced DBS checks.